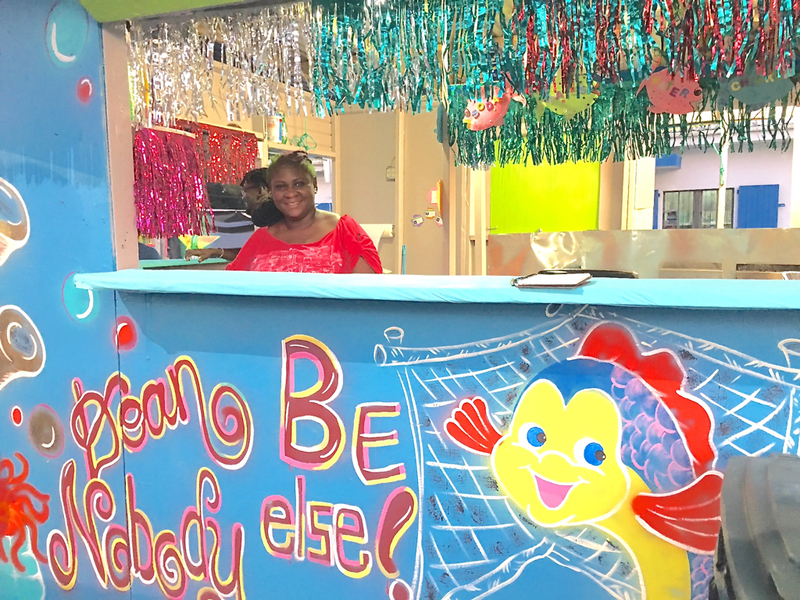 Claudine Scatliffe Daniel at the “Doan Be Nobody Else’ food booth at the St. John Festival Village. For anyone who’s had a stressful year, Lt. Gov. Osbert Potter has some advice: attend the St. John July 4th Festival. 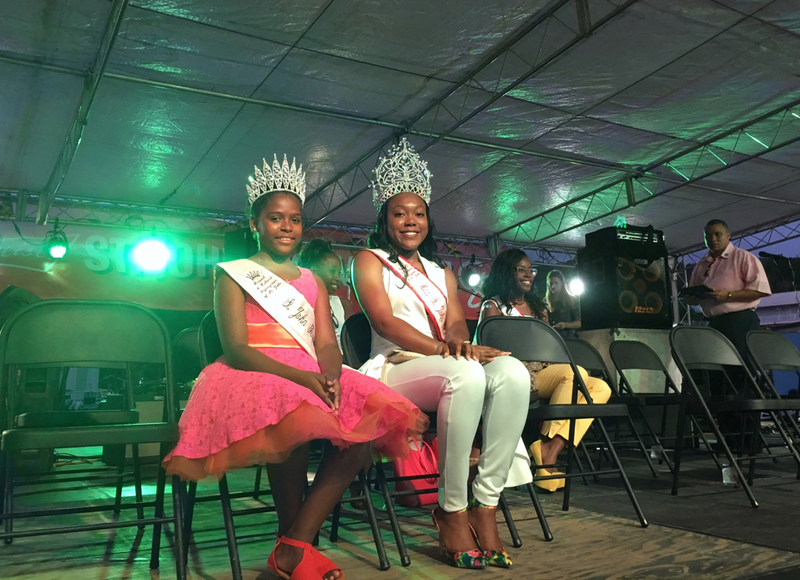 Princess Yamilette Dias-Reyes and Queen Jeminie Niles at the opening festivities. Potter was on hand Wednesday night along with dignitaries and St. John Festival royalty to celebrate the opening of the festival village named in honor of Robert O’Connor Jr.
O’Connor, who served several terms as senator beginning in the 1986, is a landlord and entrepreneur who once owned St. John’s only gas station. 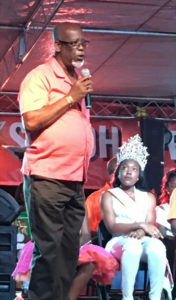 After he retired from the V.I Legislature, O’Connor served as the board chairman of the Virgin Islands Port Authority. 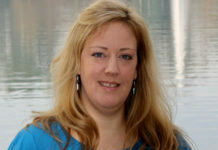 At the opening ceremony, O’Connor called upon the public to get involved with community events. 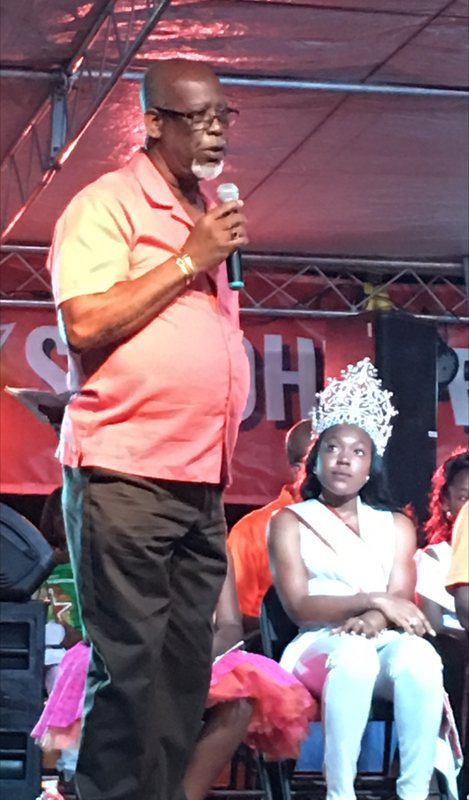 Robert O’Connor Jr., for whom this year’s festival village was named, speaks at the opening ceremony while Queen Jeminie Niles looks on. 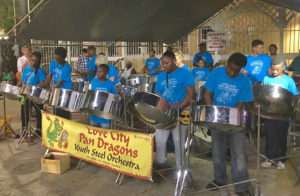 O’Connor gave special recognition to the Love City Pan Dragons, now St. John’s only steel band, which has recently lost its funding and is struggling to stay solvent. “They help mold the youth, and we need to help them,” he said. 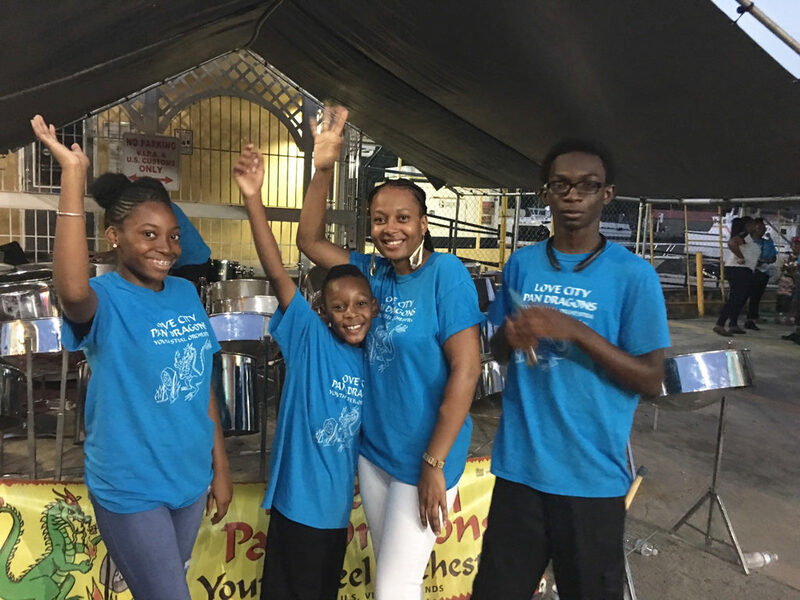 He presented a check to Elaine Penn, who serves as head of the band’s board, on behalf of himself, James Penn, and Julien Harley. The Pan Dragons, who warmed up the gathering crowd as the sun set in Cruz Bay, played several selections throughout the opening ceremony. They were not the only musical entertainment during the ceremony. 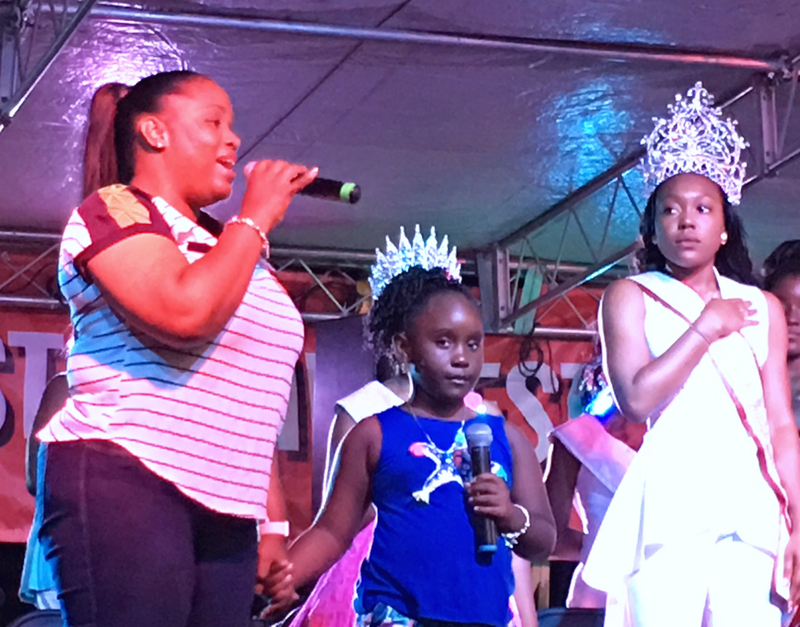 Shakima Jones and her young daughter Sequoia Sprauve, sang stunning a capella renditions of the national anthem and the Virgin Islands March. Gov. 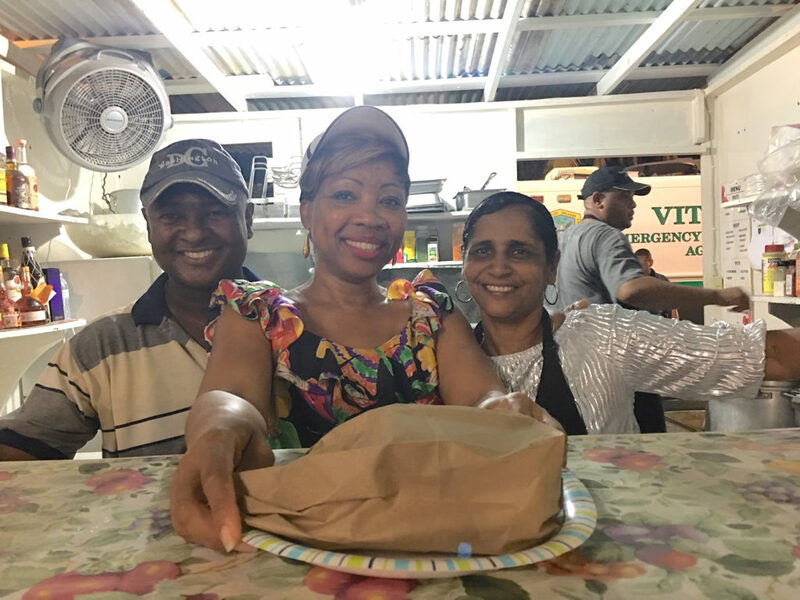 Kenneth Mapp welcomed the public and invited them to “jump up” to the music and enjoy the food and drinks sold in the village booths. “Drink, be merry, but be responsible,” he said. Shakima Jones and daughter Sequoia Sprauve belt out the Virgin Islands March. 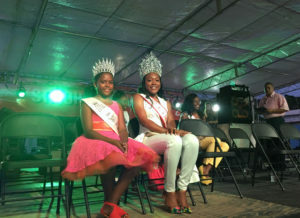 On a more serious side, Mapp said the police were deploying new equipment to insure that the festival would remain safe. “We have a lot of security on hand; we’re making it safe for everybody,” said Sgt. Steven Payne, who was working on the sound crew for the stage during the evening hours. 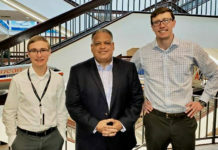 But at 10 p.m., he changed into his police uniform and joined law enforcement officers from multiple agencies to help patrol the streets until 7 a.m. The early part of the evening felt like a family affair, as O’Connor’s friends and family of gathered to give him hugs and tokens of appreciation. Young children wearing angel wings with blinking lights danced around their parents while others waved light sabers and did battle with bubble guns. Pan Dragons perform at the Festival Village. But as the night wore on, and the St. John band Ish started to play, people started streaming in. The crowd grew larger when St. John’s Cool Sessions played next, and Poizon capped off the evening. 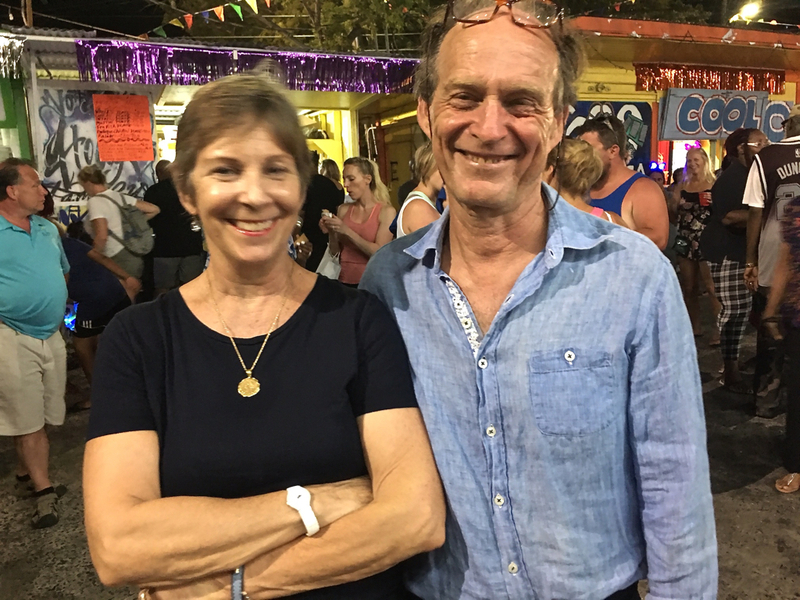 People greeted old friends, clinked plastic cups, and lined up to sample rotis, conch, and “man soup,” among other treats served up at various booths. The line only got longer as the night went on at Shuga Shack, which specializes in Greek food. This year they’re featuring “pink drinks” and donating their proceeds to the St. John Cancer Fund. Exotic drinks such as tamarind juice mixed with Smirnoff Kiss Caramel, were among the offerings at “Doan Be Nobody Else,” the booth with a merry fish painted by Claudine Scatliffe Daniels, an art teacher at Ivanna Eudora Kean High School. 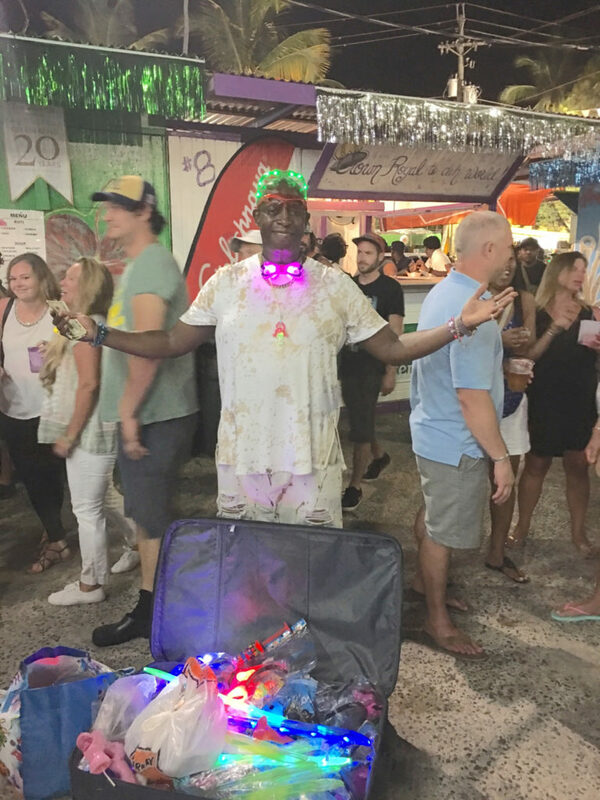 Dean Fahie makes sure the Festival Village glows. 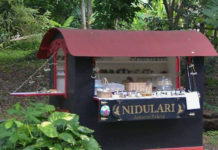 Pan Dragon members enjoy the village.